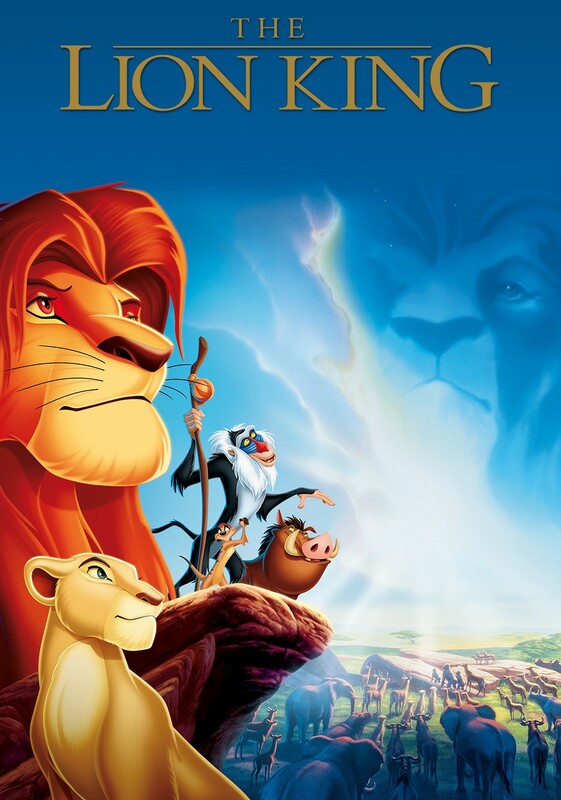 Figure 1: The Lion King Movie Cover; featuring Simba, Nala, Rafiki, Mufasa’s spirit, and the Animal Kingdom. The Lion King is one of the most popular and successful Walt Disney Picture films. The Lion King has achieved incredible popularity at the box office and in merchandising (Ward 1996, 172). This Disney animated film follows the adventures of the young lion Prince Simba, heir to the throne of his father, King Mufasa. The film begins with King Mufasa being praised by the animal kingdom. Scar, the second in line to the throne before the birth of Prince Simba plots with the hyenas to murder King Mufasa and Prince Simba in order to overtake the throne. 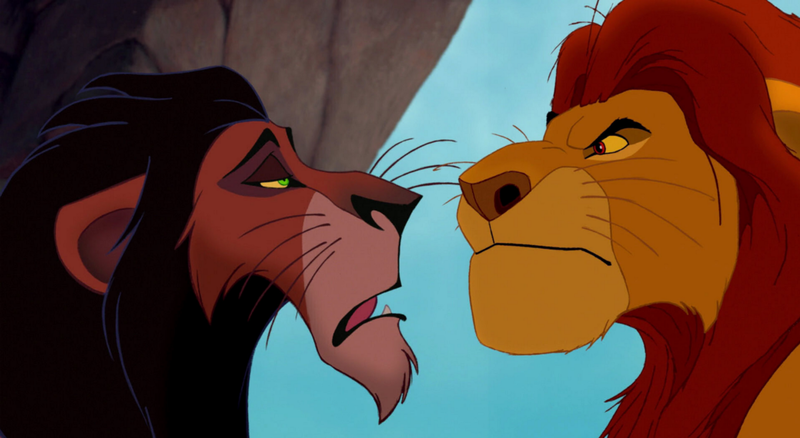 The King is killed and Scar deceives Simba into believing that he was the one who murdered his own father. After experiencing conflict within himself and others, Simba flees the kingdom in shame. Beginning to experience the feelings of loss, despair, triumph and love, Simba embarks on a journey accompanied by friends and family in order to search for his identity and to discover his purpose in life. As a result, the animal kingdom deteriorates under Scar’s reign. This in turn encourages Nala, Simba’s childhood friend, who later falls in love with him, to go on a hunt to find him. Believing in his own destiny, Simba returns to the animal kingdom to claim his throne by defeating Scar. Despite being an animated film, this film was greatly appreciated and well-liked by both children and adults. The Lion King is definitely relevant in American popular culture, as its storyline and soundtrack such as the “Circle of Life” provides a strong message for its audience such that the “Circle of Life” connects all living things as King Mufasa explained to young Simba (Ward, 1996, p. 175). Although it may seem as if this film is made to be an animated film for children starring humanized animals, it is in fact an animated film with a much deeper message. This film actually incorporates abstract and mature themes that can be studied in the context of the theories presented in popular culture and religion. Specifically, the narrative of The Lion King applies gender roles and themes of violence that is utilized for the whole influence of the film. Hence, this analysis will situate the representation in the history of its genre, address the modes of the production of The Lion King, assess the production of The Lion King, a close reading of the purpose of gender roles and violence in the film, and the consumption and reception of the community by focusing on the ways this film may impact its audience with moral standards that support religious values. “Disney is recognized as producing powerful cultural products that make major contributions to many forms of children’s media” (Holcomb, Latham, Fernandez-Baca 2015, p. 1957). Since the release of the film in 1994, The Lion King has been one of the top five highest “domestic grossing film in history” (Ward 1996, 172). The use of catchy songs, rich animation, and a diverse cast of voices were only a few reasons why this film won two Oscars and two Grammy’s for its music, outshining other popular animated films such as Beauty and the Beast (Ward 1996, 172). While the characters are animals, The Lion King is nonetheless a very humanizing film as the audience sees the fictional animals as real humans with feelings (Cerniglia and Lynch 2011, 1). This animated film features a society in harmony that later struggles for survival, and finally in a dramatic battle to reinstate peace in the animal kingdom (Ward 1996, 172). Specifically, the story focuses on young Simba who is manipulated by his evil power craving Uncle Scar to leave the animal kingdom. Feeling grief and guilt, Simba leaves in hopes to live a carefree life, in which he encounters a few new friends along the way who convince Simba to fulfill potential and save his animal kingdom (Corner 2001, 431). The production of The Lion King seems to “offer an allegory of moral responsibility for all (men and boys at least), its story allows room for only one such redemption: that of the heir to the throne” (Giddings 1999, 91). The themes of morals, responsibility, and gender roles was repeated throughout the film such as during Simba’s journey to return to the animal kingdom. Additionally, the film also attempts “a level of spirituality, something slightly metaphysical” (Ward 1996, 173). This was relevant in many scenes such as when Rafiki, a shaman, who was able to connect Simba with his father’s spirit in order for them to communicate. Figure 3: Scar is noticeable darker than the other lions (racism). The film was not only successful from the features that were previously mentioned, but an important feature of the film’s success results from the film’s use of “mythic narrative, that, by its nature, advocates a morality” (Ward 1996, 172). Films such as The Lion King, help both children and adults “try to figure out their moral significance” of their lives. Disney films are known to present a “responsible moral vision” for its viewers. Hence, narratives in a sense dramatize our existence. However, Disney films cannot just be seen as commodified objects, but must be seen as commodified culture such that personalities and identities are presented in a children’s way and adults nostalgia (Giddings 1999, 85). This will be discussed further in the next sections. There are many features of The Lion King that is ideal to teaching such as the “leadership themes, coupled with its brevity and entertainment value”. Despite this film having a G rating, do not be fooled that it is merely a kiddie cartoon, “its contemporary dialogue, sophisticated humor, considerable violence, and catchy plot-advancing score” is suitable and certainly catches the attention of people of all ages (Corner 2001, 431). Keep in mind that this film focuses on Simba’s journey to search for his identity and to discover his purpose in life, all of which is relatable to the experience of the audience. Despite such success The Lion King accumulated, there is also criticism regarding this film that did not seem to affect the success of this film. Many critics attacked this film for its sexism such that the female characters are ultimately victims and the men are power-craving competitors; racism such that Scar is darker than the other lions and has a black mane and the hyenas were also black; misrepresentation of Africa such that the only feature of Africa to be celebrated is its wildlife; and the violent content throughout the entire film (Giddings 1999, 88). Given that many of these critics believed that this was a children’s film, they heavily criticized the violent content. Though things like sexism and racism are not obvious to children, critics heavily criticized these hidden imageries from the older target audience. Clearly, The Lion King is considered to be categorized in the genre of tragedy because of its tragic storyline of suffering from violence and death (Wilson 2008, 94). This is significant because although the storyline of films is created in a sense to maintain the viewers interest throughout the movie, it does not seem suitable for a Disney animated film to have a tragic story. The criticism of the use of tragedy in children’s film is because of “the way these symbols are interpreted leads to the development of particular moods and motivations in those who find the symbols meaningful” as Klassen explains (Klassen 2014, p. 15–16). Hence, critics are concerned that the genre of this film can easily influence children’s moods and motivations in a negative way since children often imitate most things that they perceive. Thus, we must examine the cultural content of The Lion King to determine “the potential impact they may have on the socialization of children and on the promotion of cultural values” (Wormer & Juby 2016, p. 584). 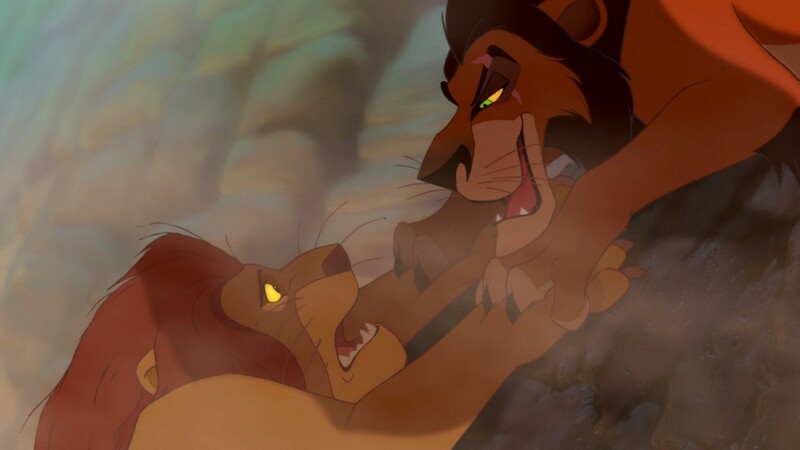 Figure 4: Scar is about to murder Mufasa (violent content & good and evil). Despite The Lion King being produced by Walt Disney Picture films, which is usually targeted towards a younger audience, this film contains many themes that are not appropriate for children. As previously mentioned, sexism (including gender roles) and violent content was present throughout the entire film. More specifically, this film is almost exclusively concerned with masculinity. Furthermore, there is a theme of good and evil that is throughout the film such that “good and evil take on the physical attributes of muscular against skinny, and in each the mane functions as emblem of masculinity and power, as patriarchal signifier” (Giddings 1999, 89). For instance, the final scene of the film where Simba confronts Scar for their final battle was to provide a thrilling and dramatic end to the film as well as to reinforce media’s beliefs of male masculinity. Despite the younger audience, The Lion King continues to promote masculinity through acts of violence, which is generally what popular culture nowadays associate together. Moreover, it is Rafiki, a shaman baboon friend that Simba encounters along the way of his journey, who finally knocks some sense into him by hitting him on the head with his stick. This initiation marks the end of adolescence and resembles a very similar African story related to Bly in which “a boy’s passage into manhood begun with a blow to his head form his father’s axe” (Giddings 1999, 90). This also refers to the exact moment that Simba becomes a man and loses his innocence in a refusal to be involved in minor political corruption (Giddings 1999, 90). Overall, many instances in this film were used to reproduce and reinforce the same masculine values. This is evident in the film when Simba flees the animal kingdom feeling insecure and self-doubting that he cannot rule the kingdom as well as his father did, but ultimately accepting his self-worth and returning to reclaim his animal kingdom by conquering Scar in a violent battle. Additionally, religious features are found within reinforcing masculinity through violence. For instance, Simba’s determination to defeat Scar was ultimately to reinstate harmony and freedom in the animal kingdom. These acts of violence resemble many things that are relevant in institutional religion such as the existence of good and evil in the world such as Simba and the animal kingdom against Scar and his hyena allies. In other words, the result is “nature out of balance and the destruction of the land” (Ward 1996, 173) As Ward (1996) explains, “in the biblical narrative, that means that evil is in the world, and Satan is alive and at work, a reality in which Christians believe” (Ward 1996, 173). Furthermore, this also raises the religious content of God and the Devil. There are mysteries in life that point to a transcendent, spiritual reality. 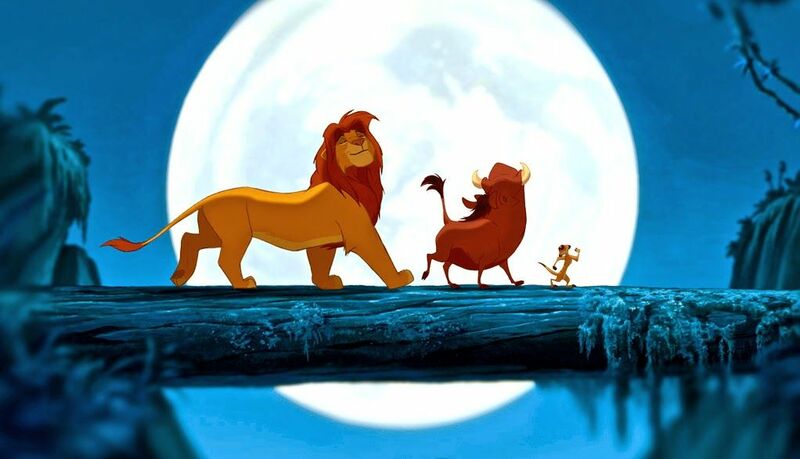 The Lion King demonstrates this through the use of biblical myths (Ward 1996, 175) More specifically, the instance in which shaman baboon Rafiki was able to connect Simba to Mufasa’s spirit in the sky. During this scene, Mufasa influences Simba to return to the animal kingdom as this was the final push needed for him to return and defeat Scar to claim his rightful role as the king. Similar to the play, Hamlet, Hamlet says “there’s a divinity that shapes our ends, rough hew them how we will” (V.ii. 10–11) (Gavin 1996, 56). In both Hamlet and The Lion King, Hamlet and Simba both accepted their fate and have returned home to claim their rightful places as kings. Evidently, Mufasa’s spiritual presence and his message to Simba can be compared to that of God, which ultimately lead Simba to conform with his morals to return and fight as a means to bring back peace to the animal kingdom. Thus, through examining the violent content of this film and its relation to religious features, this film ultimately reinforces the gender roles of male masculinity through violence. The media certainly has a great influence on children’s behavior and moral values. Disney films, especially, have incredible influence in American popular culture and have begun to be a significant moral educator. Disney animated films are generally fairytales that not only tell a story but also present a given moral. The Lion King obviously presents moralizing as well as teaching other values, both positive and some that may be categorized as negative. It does so through words, pictures, and music in a sense that children are involved in the narrative (Ward 1996, 172). Hence, films are produced in such a way to get its audience to resonate with the characters. As a result, the objective of the media is to teach the younger audience to be able to distinguish between right and wrong. Additionally, the reason as to why this film received criticism is because of its hidden representations of racism, sexism, and the misrepresentation of many things as previously mentioned. Since Disney films act as a moral educator for children, hidden themes that encourage discrimination also has the ability to influence children in a negative way. Studies have shown that even a single exposure to a television episode or movie can change “children’s ideas about emotions in real life and is consistent with the idea that media portrayals can influence a child’s mental representation, or schema, for emotional events” (Wilson 2008, 91). This shows that children can not only observe and share emotions caused by media characters, but also react directly to “emotionally charged evens depicted in the media” (Wilson 2008, 92). Consequently, it is clear that media within popular culture has the ability to influence children in both positive and negative ways that affect their development. Hence, this film has received a lot of criticism regarding the rating for this film as it contains many mature themes. Despite the many mature themes present in this film, there are also many appropriate themes in this film that are valuable to teach the younger audience. Throughout the entire film, a few of the main reoccurring themes were the fundamental leadership skills, traits, behaviors, and the consequences of a leader’s abandonment of responsibility (Corner 2001, 430). Before the death of Mufasa, he advised and guided young Simba of all the knowledge and preparation needed to take over his reign. This resembles the way in which parents teach children all the knowledge and preparation needed to step into the real world on their own. Overall, children (as well as young lions) must accept responsibility in order to develop into adulthood. This relates to different religious values seen in our society today in a sense that people must understand morals. Figure 6: The baptism/celebration of the life of Simba and Nala’s new cub presented to the animal kingdom. Another key component of the entire film is the theme song, “Circle of Life”, which posits that everything is part of the Circle of Life. This song certainly expresses religious meanings and teaches the significance of “relationships as part of the food chain, as well as the reality that life and death are part of the same circle” (Ward 1996, 175). Once Simba realized his full potential, he restored order in the animal kingdom and took his place in the circle of life (Gavin 1996, 57). Hence, another important message that is associated in this song is “birth, death, and new birth are part of creation, and death is not something unnatural” (Ward 1996, 175). In other words, this shows that life is precious and valuable so we must live it to our fullest potentials and accept that everything happens for a reason. 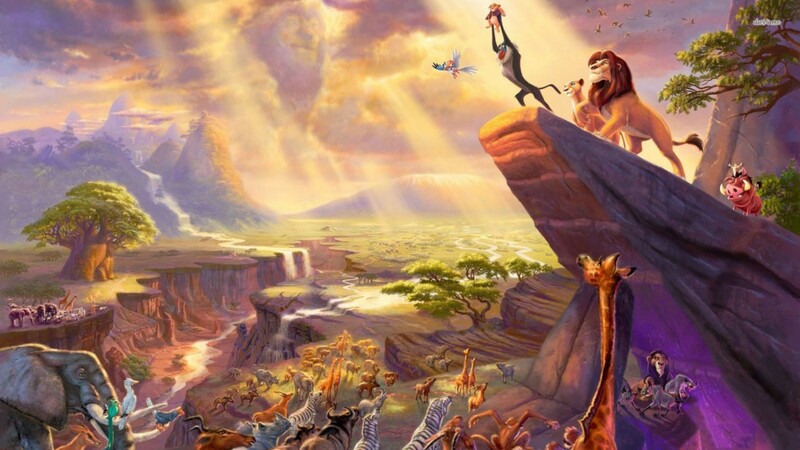 For instance, the ritual of baptism, which was shown in the beginning of the film for Simba and the end of the film for Simba and Nala’s new cub adds significance to that fact, and the circle of life continues (Ward 1996, 174). Clearly, Simba and his new cub’s “baptism” in this film is another religious perception. Both Simba and his new cub participated in a ritual led by Rafiki, who in a sense acted as a pastor to officially present the celebration of these new lives to the animal kingdom. Thus, the religious theme of the interconnectedness of family and life were present in throughout the film. Evidently, The Lion King communicates moral education to teach children the important factors needed to successfully develop into adulthood. Since children nowadays live in a world where many of their experiences are “mediated by screen technologies” (Wilson 2008, 88), Disney films try to present its content and stories in a way that shows the importance of moral values. Hence, this allows parents to teach their children in an engaging way through religious views. These were the ways in which The Lion King was received by its audience of consumers and interpreters. Barbara J. Wilson. “Media and Children’s Aggression, Fear, and Altruism.” The Future of Children 18, no. 1 (2008): 87–118. https://muse.jhu.edu/ (accessed November 7, 2016). Comer, Debra. 2001. “Not just a Mickey Mouse Exercise: Using Disney’s the Lion King to Teach Leadership.” Journal of Management Education 25 (4): 430–436. doi:10.1177/105256290102500407. http://resolver.scholarsportal.info/resolve/10525629/v25i0004/430_njammetlkttl. Gavin, Rosemarie. “”The Lion King” and “Hamlet”: A Homecoming for the Exiled Child.” The English Journal 85, no. 3 (1996): 55–57. Giddings, Seth. 1999. “The Circle of Life.” Third Text 13 (49): 83–92. doi:10.1080/09528829908576825. http://resolver.scholarsportal.info/resolve/09528822/v13i0049/83_tcol. Holcomb, Jeanne, Kenzie Latham, and Daniel Fernandez-Baca. 2015. “Who Cares for the Kids? Caregiving and Parenting in Disney Films.” Journal of Family Issues 36 (14): 1957–1981. doi:10.1177/0192513X13511250. http://resolver.scholarsportal.info/resolve/0192513x/v36i0014/1957_wcftkcapidf. Ken Cerniglia and Aubrey Lynch II. “Embodying Animal, Racial, Theatrical, and Commercial Power in The Lion King.” Dance Research Journal 43, no. 1 (2011): 3–9. https://muse.jhu.edu/ (accessed November 7, 2016). Klassen, Chris. “Religion and Popular Culture.” In Religion and Popular Culture: A Cultural Studies Appproach, 7–28. Don Mills: Oxford University Press, 2014.
van Wormer, Katherine, Cindy Juby, Katherine van Wormer, and Cindy Juby. 2016. “Cultural Representations in Walt Disney Films: Implications for Social Work Education.” Journal of Social Work 16 (5): 578–594. doi:10.1177/1468017315583173. http://resolver.scholarsportal.info/resolve/14680173/v16i0005/578_criwdfifswe. Ward, Annalee R. 1996. “The Lion King’s Mythic Narrative: Disney as Moral Educator.” Journal of Popular Film and Television 23 (4): 171–178. doi:10.1080/01956051.1996.9943703. http://resolver.scholarsportal.info/resolve/01956051/v23i0004/171_tlkmndame. Figure 1: “The Lion King Movie”. Fanart.tv. https://fanart.tv/fanart/movies/8587/movieposter/the-lion-king-524fb69e8c273.jpg. Figure 2: “Lion King”. Cdncollider.com. http://cdn.collider.com/wp-content/uploads/2016/04/the-lion-king-image.jpg. Figure 6: “The Lion King — Circle of Life”. Youtube. https://www.youtube.com/watch?v=GibiNy4d4gc.“The Lion King”.